One of the ways in which traders can make profits when trading forex is by using economic news and data releases. This is because news moves markets. This is particularly true in the case of the forex market as currencies are seen as confidence indicators for countries. Further, forex is traded using leverage. 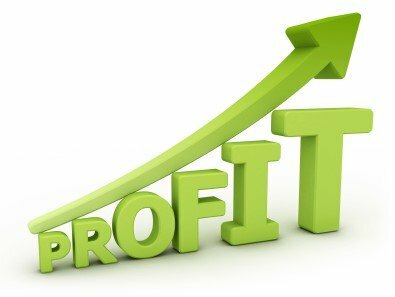 As a result, even a small change can be made use of to create larger profits. Actually, economic news and data releases reveal fresh information on the current economic condition of a country. Depending on the degree of surprise the data or news causes, the market will react for just a few minutes or hours. Sometimes, the reaction lasts for many days. It is exciting to trade currencies at the time of release of economic data and news, but the volatility experienced during these times could pose a great deal of risk. However, all news and data releases do not cause the currency market to react in the same manner. Therefore, key aspect of trading currencies is knowing which news moves the market and which ones do not move the market. For example, taking currency positions ahead of the release of the U.S. wholesale inventories data is meaningless. This is because this information does not cause any impact on the condition of the U.S. economy. This data also does not impact the U.S. dollar. On the other hand, the Non-farm Payrolls news release moves the market in a big way. This is because job growth throws light on consumer spending, which is a key indicator of the current status of an economy. Traders who are new to the forex market may find it difficult initially to predict the impact of a news or data release. As they gain more experience, they will become better. Providers of websites for trading forex often include the economic calendar, giving indications as to whether the impact of a data or news will be high, low or medium. Five of the economic news and data releases that can potentially create significant movements in the forex market and are worth trading are discussed below. The PMI gives an indication about the health of a country’s manufacturing sector. France’s and Germany’s PMIs are leading indicators as far as Europe is concerned. These data are released on the same day with a slight time delay between releases. There is some kind of a correlation between the two PMIs and German PMI is more important. China’s Manufacturing PMI is also worth trading as it has a huge impact on risky currency pairs such as AUD/USD and EUR/USD. GDP represents the monetary value of all of the finished goods as well as services produced within the borders of a country within a specified time period. Therefore, the release of the GDP report of a country assumes a great deal of importance. It has a big impact on the currency market. GDP reports are generally released every quarter. Canada releases a GDP report every month. The US releases 3 reports – Preliminary, Advanced and Final. The forex market is impacted the most when the Advanced GDP report is released. In the U.S., the most awaited reports are the Non-farm Payrolls (NFP) employment change and the jobless reports. The ADP Employment Report, which provides an estimate, is released two days before the date of release of these official data. It also has an impact on the forex market, but the deviation from the estimates has to be significant for the mood of the financial markets to change. Unemployment reports from Europe and Australia are also closely watched by traders. Interest rate decisions cause volatility in the forex market only when the decisions differ from the market expectations. In general, the biggest trends are after the official release of the data following press conferences, which are translated made available live on the Internet. Traders also look for clues from the top officials of central banks leaders that throw some light as regards the future course of interest rates. While a dovish tone causes a currency sell-off, a hawkish tone makes the currency stronger. In general, EUR/USD currency pair is not impacted by inflation reports. This is because the inflation in Europe and the US is usually in the range of 2 to 3 percent and the central banks take any action only if inflation goes outside this range. During the last ten years, inflation has gone out of the range only during the time of the global financial crisis. It came back into the range rather quickly as well. Small deviations within the range are often neglected by market participants. In addition, inflation is worked on a monthly basis in the US and Europe. As a result, the impact is very low. However, the release of inflation reports cannot be ignored. This is because inflation is calculated on a quarterly basis in New Zealand and Australia. This causes emergence of nice trends when these economies release their inflation or Consumers Price Index (CPI) reports. Summarizing, it is much safer to trade the abovementioned events than other less significant news. Irrespective of whether a trader follows fundamental or technical analysis, it is a good idea monitor the release of these data to trade accordingly. The events listed above impact or move the markets for a significant amount of time, say up to about 24 hours. Traders don’t have to take positions and close trades in a hurry and be satisfied with small amount of profits when these important data are released. However, traders need to keep in mind the fact that it is difficult to predict the market reaction at times. As such, even if stop loss gets activated after a news release, traders can reverse their position and take positions in the opposite direction in line with the market trend.